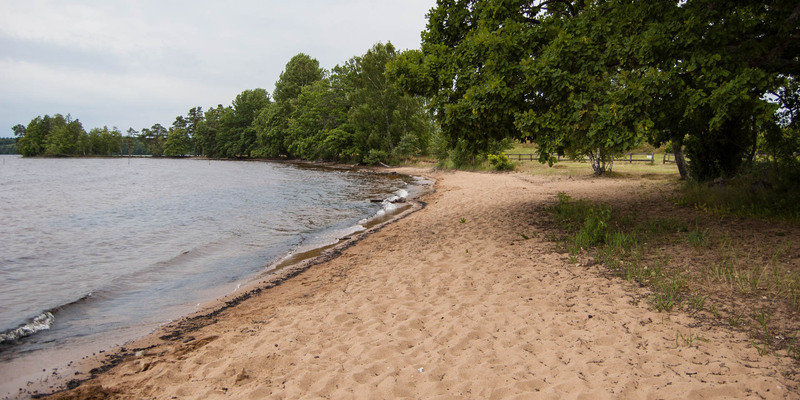 Laxasands Badplats is a pretty and natural sandy beach with a large lawn on the west shore of the lake Mien at Midingstorp, around 15 kilometers east of Ryd. 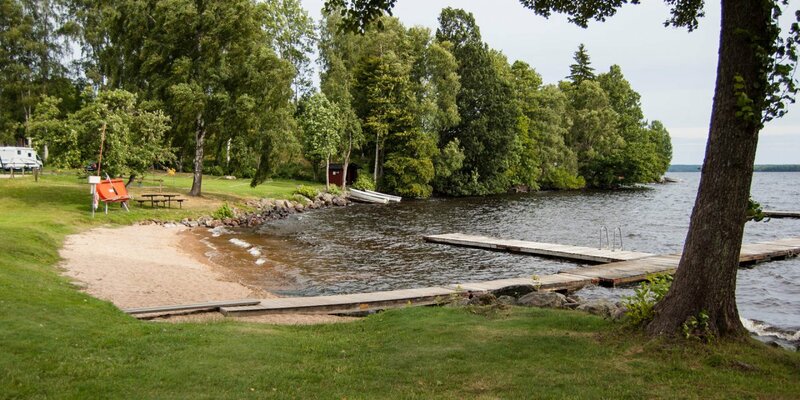 The secluded bathing spot offers a nice view of the island Ramsö which is an unspoiled nature reserve. 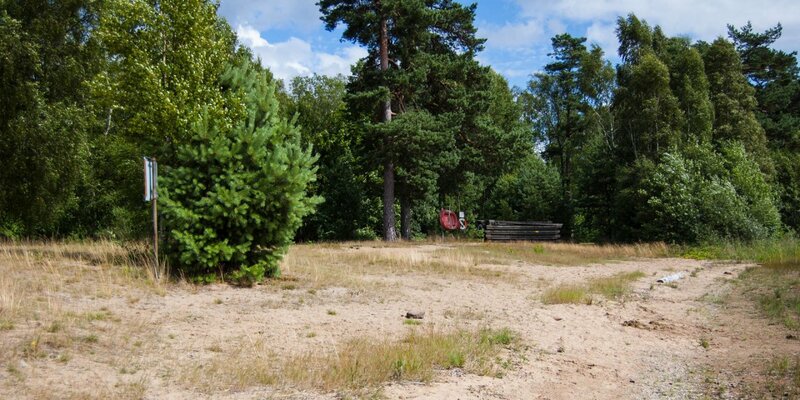 Laxasand is with its shallow shore also well suited for smaller children and is the only real sand beach at the lake Mien. 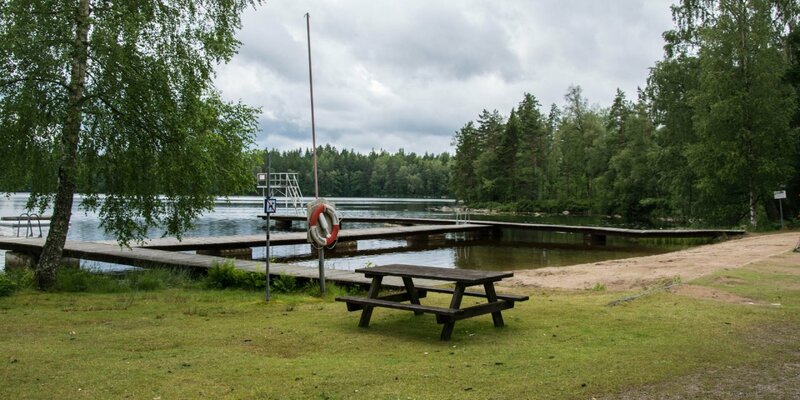 The water in the lake is very clear and allows sight of up to 5 meters deep. Close to the beach is a large parking lot and a toilet. A fire pit for barbecues is also available. The nearly circular Mien has a diameter of 5.5 kilometers and a depth of 42 meters. It is by far the largest and deepest lake in the municipality Tingsryd. The Mien has arisen as a result of a meteorite impact around 121 million years ago.